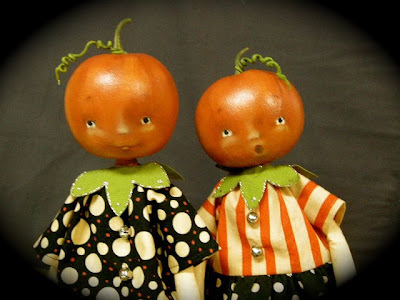 More Halloween items added to my Etsy Shop! 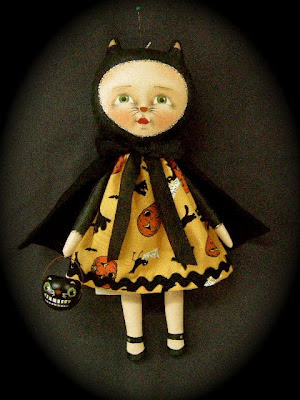 'Witch's Brew' is made of cloth and hand-painted, includes a handmade paperclay Witch's Calderon with flicker candle. 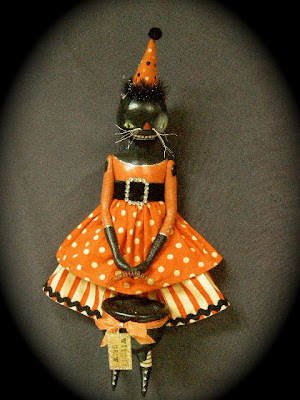 Black Cat Trick-or-Treater is made of cloth, hand-painted and includes a tiny handmade paperclay treat pail.